A chocolate baron, a comedian who plays a president on television and a former prime minister hoping third time’s the charm. These are the leading candidates for the Ukrainian presidency as voters head to the polls on Sunday for the second time since the 2014 Maidan Revolution and Russia’s annexation of Crimea the same year. As the conflict between pro-Russian separatists and the government in eastern Ukraine that has taken more than 13,000 lives simmers, and corruption remains endemic, Ukrainians might be looking for a fresh face to lead their nation. Leading the pack is comic actor Volodomyr Zelensky with 24.8 percent of the decided voters, according to the latest polls. Incumbent Petro Poroshenko, a confectionary oligarch who has made his aggressive stance toward Russia a central part of his campaign, is lagging with 22.1 percent. Former Prime Minister Yulia Tymoshenko is in third place with 14.8 percent. While Ukrainians have yet to make up their minds, the Kremlin knows which candidate it doesn’t want to win. “If Poroshenko wins, this will mean that the state of confrontation will continue, which is not what Moscow wants,” said Konstantin Skorkin, a Moscow-based independent commentator specializing in Ukrainian politics. What the Kremlin is hoping for instead, said analysts who spoke with The Moscow Times on the eve of the vote, is a candidate who might sit down with Moscow for direct talks. That could be Zelensky, who has said the conflict in the east can only be solved through dialogue, or Tymoshenko, who brokered a gas deal with the Kremlin in 2009 when she was prime minister. Zelensky also has business links to Ukrainian billionaire Ihor Kolomoisky, who has helped finance militia groups to fight the pro-Russian separatists, according to local and international media reports. Still, both candidates are more appealing to Moscow than Poroshenko, analysts said. There is also a sense that his inexperience could be a boon, said Skorkin. If a pro-Russian candidate is more appealing for the Kremlin, that option was all but a non-starter in this campaign, analysts said. Voters in annexed Crimea and the breakaway eastern republics, who make up some 12 percent of the total, are unlikely to head to the polls as they have to go through a special registration process. Voters in Ukraine worry that Russia will meddle and spread misinformation on election day, as it has been accused of doing in Europe and the United States in recent years. But according to Chimiris that wouldn’t be a palatable option for the Kremlin. The vote will go to a second round on April 21 if no candidate wins an absolute majority, and analysts think this is likely because the candidates are so tight at the top and Zelensky’s young support base might not come out to vote. That’s not to say that Russia hasn’t prepared itself for a negative outcome. This week, firebrand State Duma deputy Vladimir Zhirinovsky announced a bill that would not accept the results as valid. On Russian state television in recent weeks, coverage has been focused overwhelmingly on the election. “About 40 percent of news show time has been devoted to the Ukrainian presidential campaign,” he said. That’s because, unlike Putin’s 2018 re-election campaign, these elections are unpredictable. Coverage is also likely to garner high ratings because Ukraine is deeply interesting to Russian viewers. 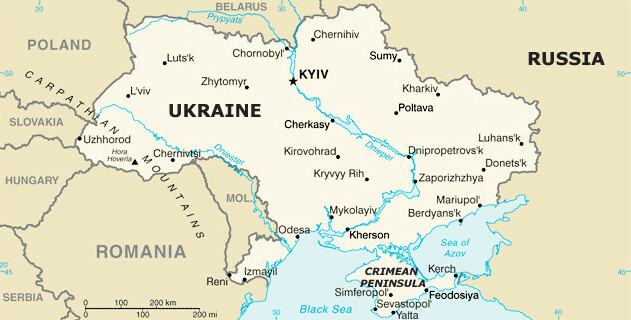 But the most important reason for all the air-time is that this Ukrainian story makes Russia look good, Shepelin said.